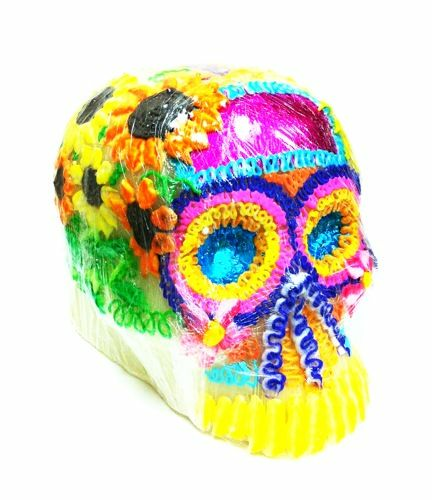 Sugar Skull with bright colors. 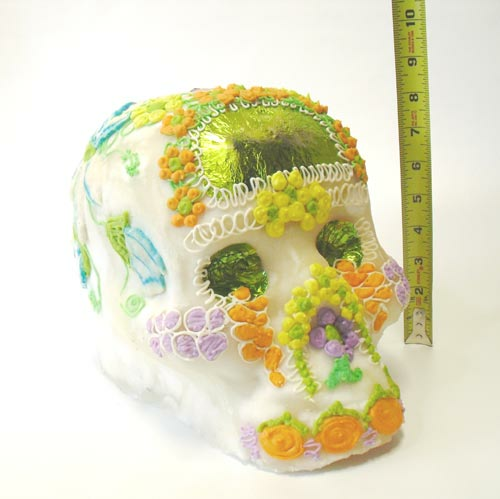 Plastic wrapping visible is to protect sugar skull while in transit. 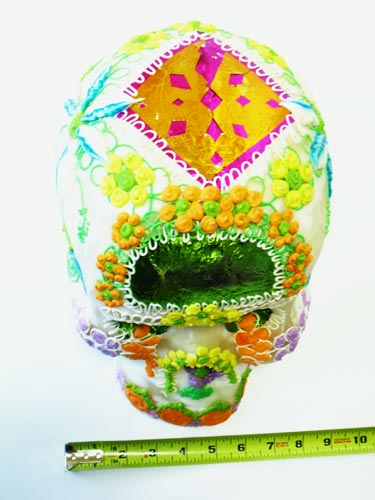 It may be removed upon arrival. 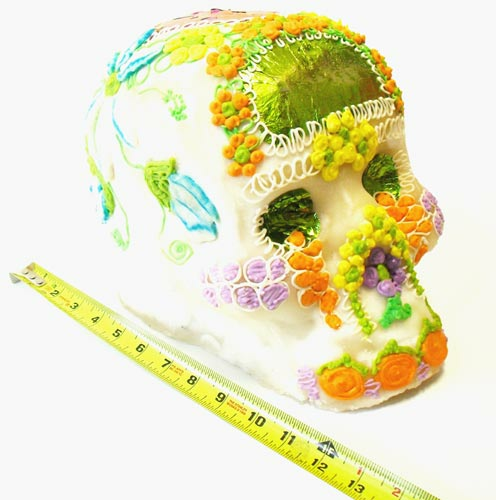 Extra Large Sugar Candy Skulls are aprox. 9" L x 7" W x 8" H ideal decoration and edible sugar candy for Dia de Muertos or Day of the Dead Celebrations.